I’ve got some awesome news for the vegans or when you have a lactose intolerance. Because there are finally two flavors from vegan ice cream in Belgium! The 2 delicious non-dairy flavors are made with almonds. Sounds good! And I tried out the vegan ice cream…. Ben & Jerry’s has for now 2 vegan flavors in Belgium both on basis from almond milk. You got the chocolate fudge brownie this is a brownie ice cream that contains little pieces of vegan brownie. You also have chunky monkey, this a banana ice cream with chocolatey chunks & walnuts. Always when I brought a visited to the supermarket the brownie one was always sold out. But luckily I could try the chunky monkey! 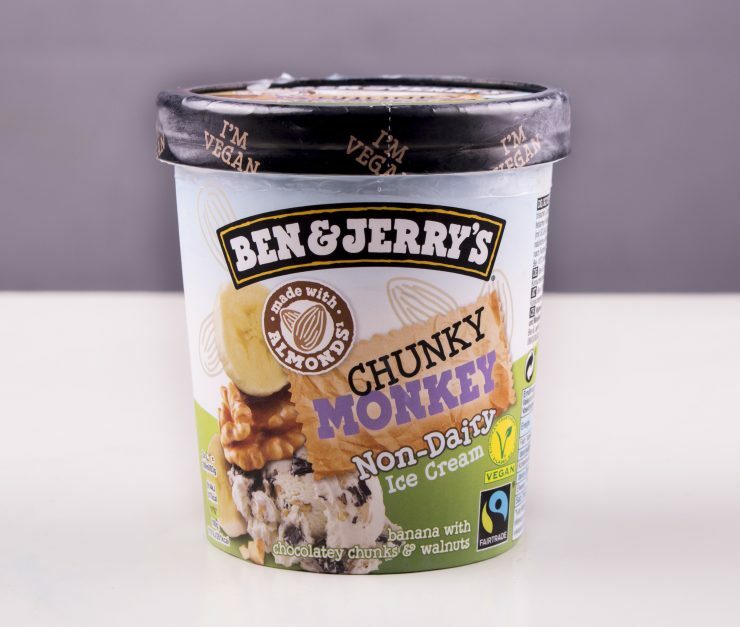 The new non dairy ice cream from Ben & Jerry’s is available in the Albert Heijn & carrefour for €6,99. Wat een mooie foto’s heb je gemaakt! En ik ben stiekem niet zo een ijs/Ben en Jerry fan, maar de brownie variant klinkt toch wel erg lekker! Jammer dat ie uitverkocht was. En ik geef het eerlijk toe ik normaal ook niet echt, maar het vegan ijs vind ik echt top!